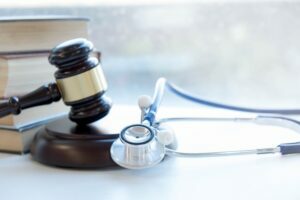 MCL .500 .3107 states that economic benefits include medical benefits for “allowable expenses consisting of all reasonable charges incurred for reasonably necessary products, services and accommodations for an insured person’s care, recovery or rehabilitation. Probably the most important of the 4 major no-fault benefits is medical insurance. Few people in Michigan realize that, if involved in a motor vehicle accident and injured, their no-fault coverage (along with their health coverage in in certain circumstances) represents full medical benefits for the rest of a person’s life as it relates to injuries received in the motor vehicle accident. Allowing our trusted and experienced Michigan insurance attorneys to handle your case can help ensure you have the most successful case possible. Contact our office today to schedule your consultation and determine what is the next best step.